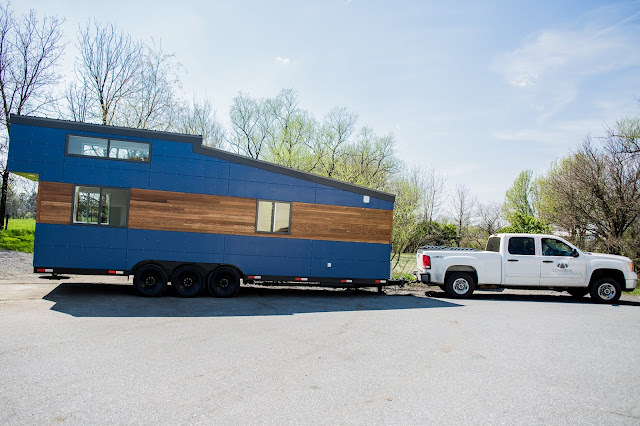 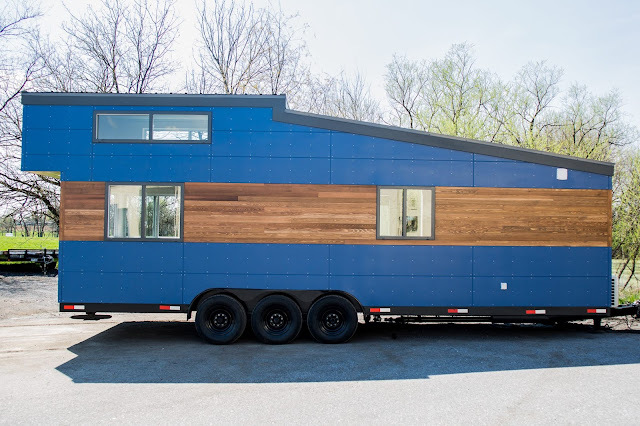 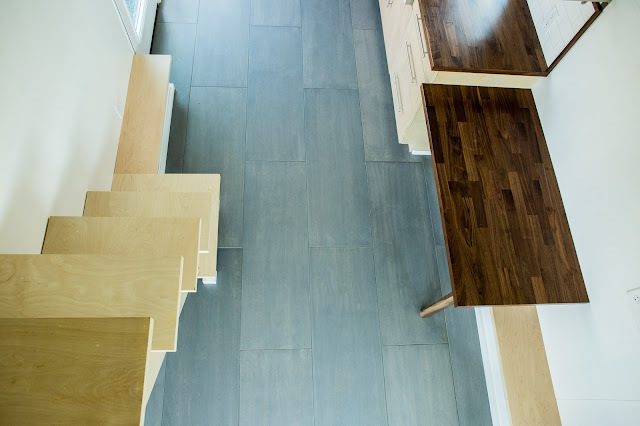 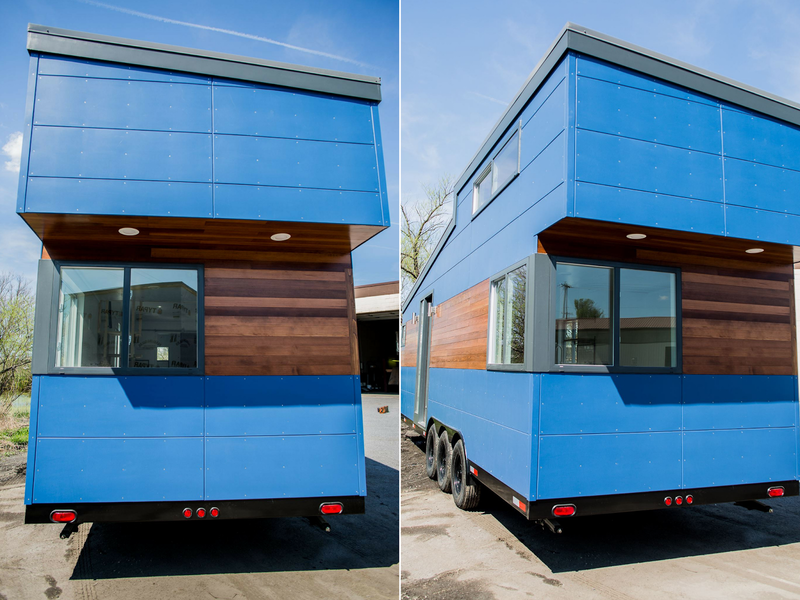 One of the newest builds from Liberation Tiny Homes, is the Big Blue. 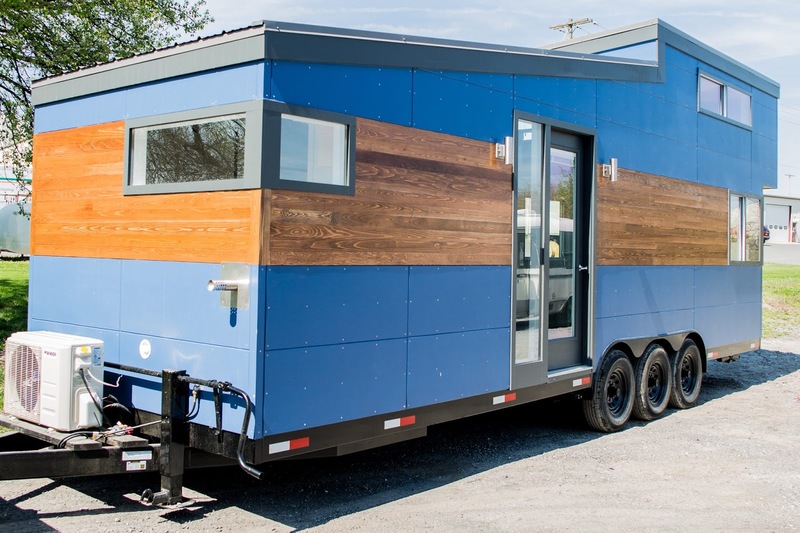 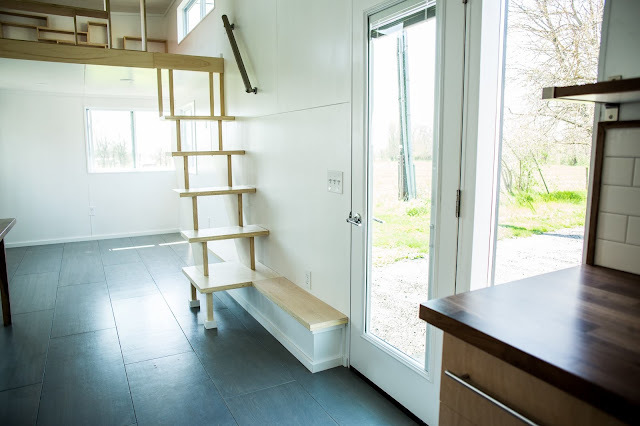 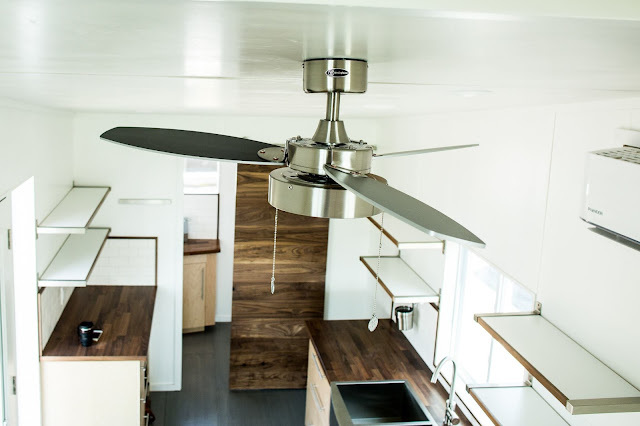 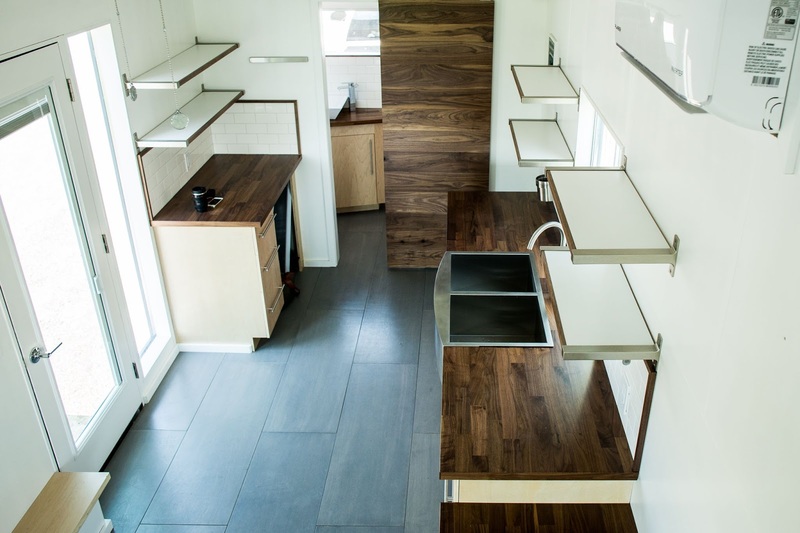 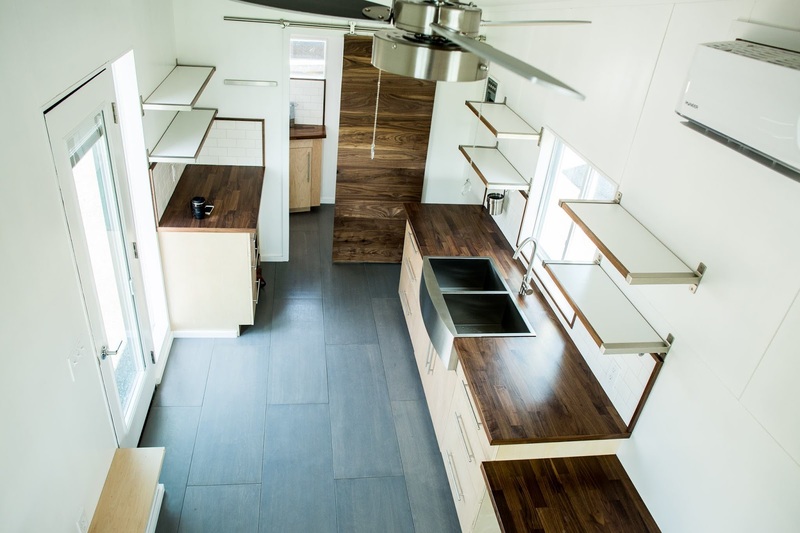 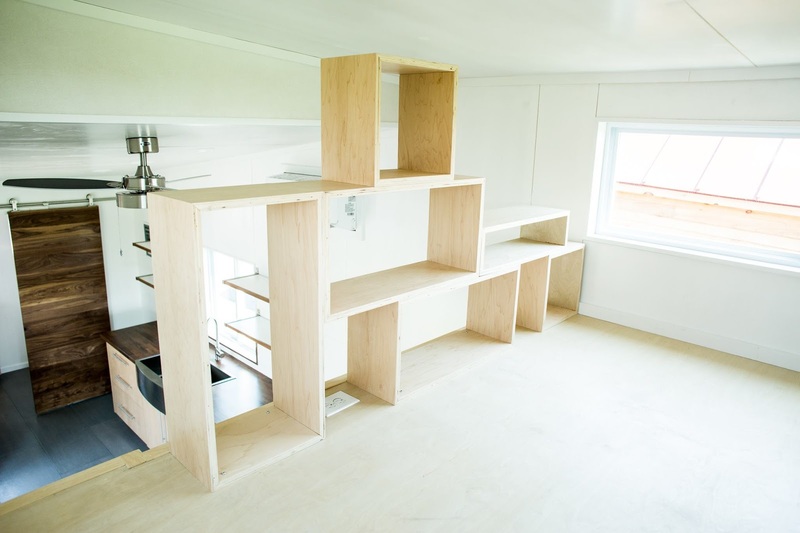 This one is a 28' version of the company's very first tiny home, the Alpha. 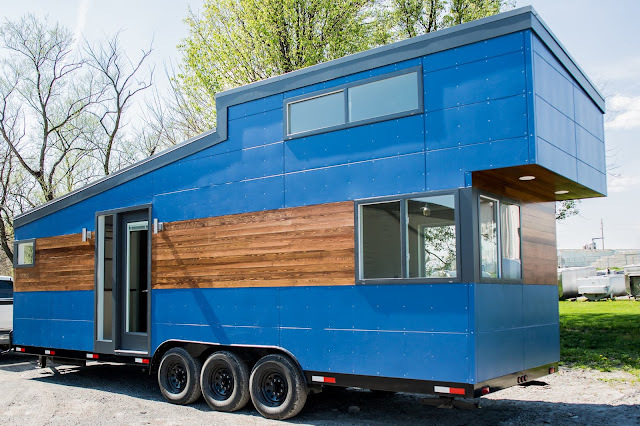 The Big Blue features 2 x 4 framing with galvalume metal roofing and an interior with birch plywood walls and custom milled birch flooring. 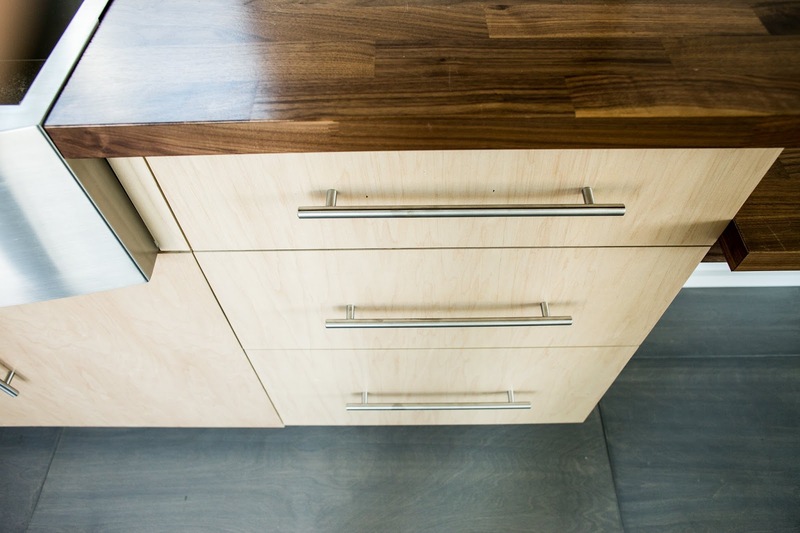 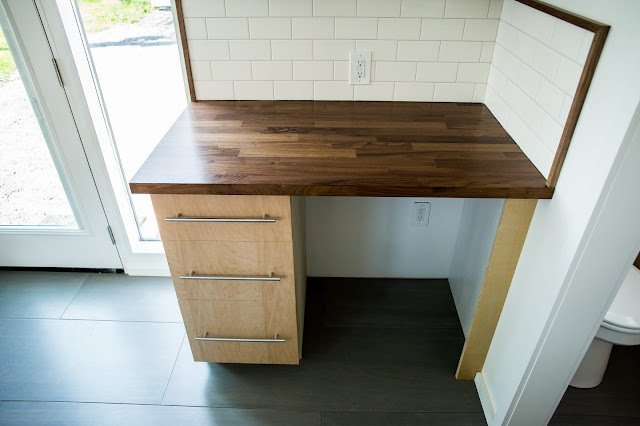 The kitchen has maple cabinets, walnut countertops, a subway tile backsplash, a 30" stainless steel sink, and a 4' walnut dining/work table. 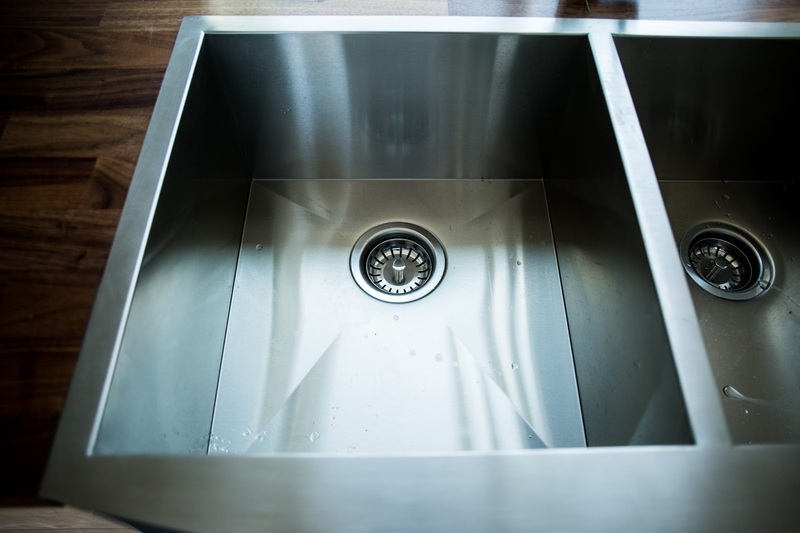 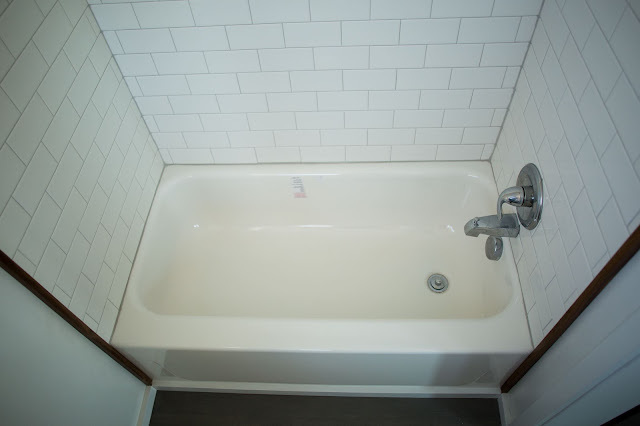 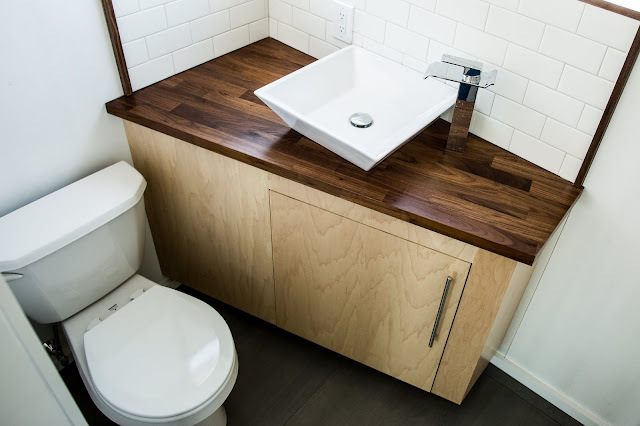 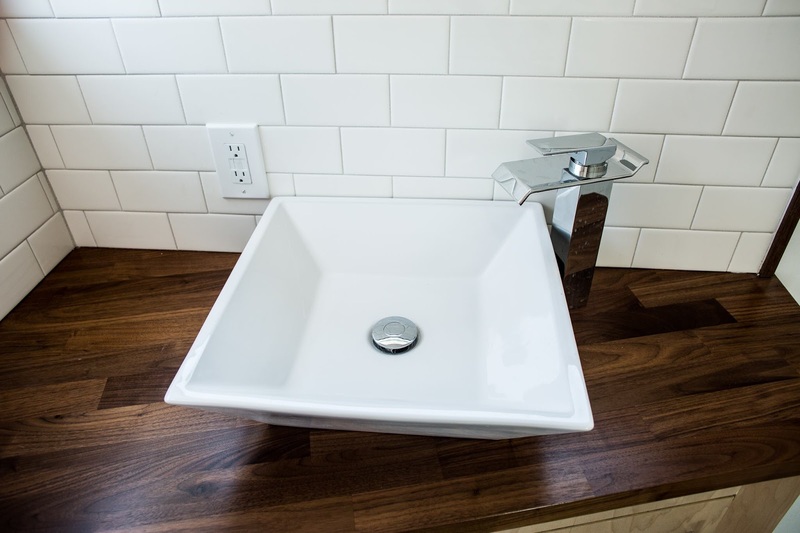 The bathroom comes equipped with a compact flush toilet with an RV sewage outlet, a 4' tub with subway tile and walnut accents, and a modern sink. The home's living room measures 8' x 6' and the upstairs loft bedroom spans 8' 10'. 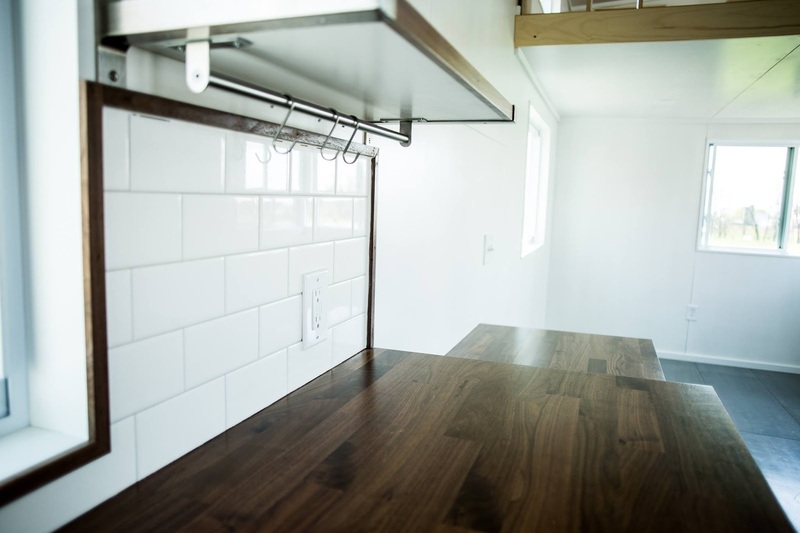 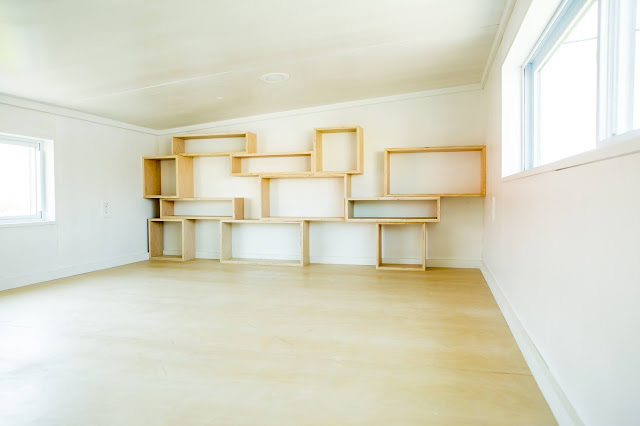 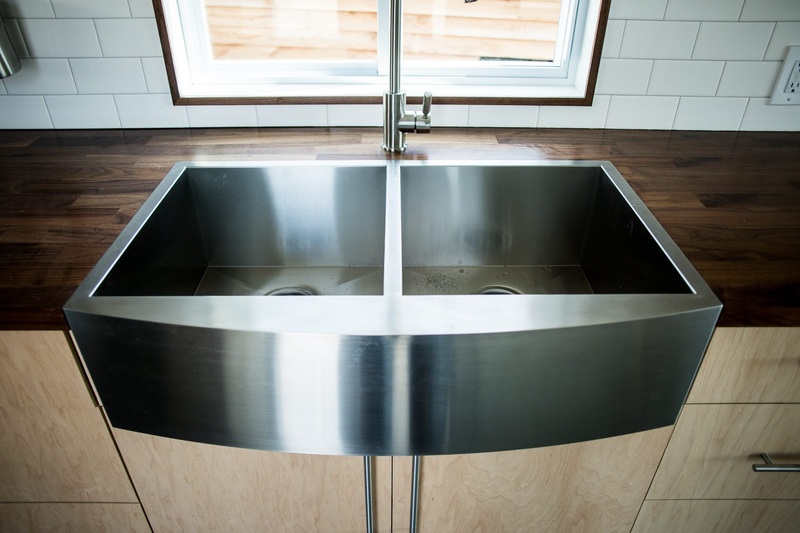 There's also pex water lines, plumbing for a washer/dryer, an on-demand propane water heater, a 30 amp electrical inlet, a mini split system, and LED lighting throughout the home! 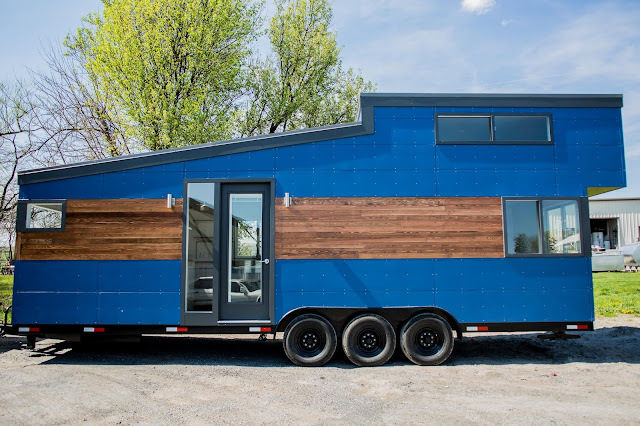 Pricing for this exact models is $56,500. 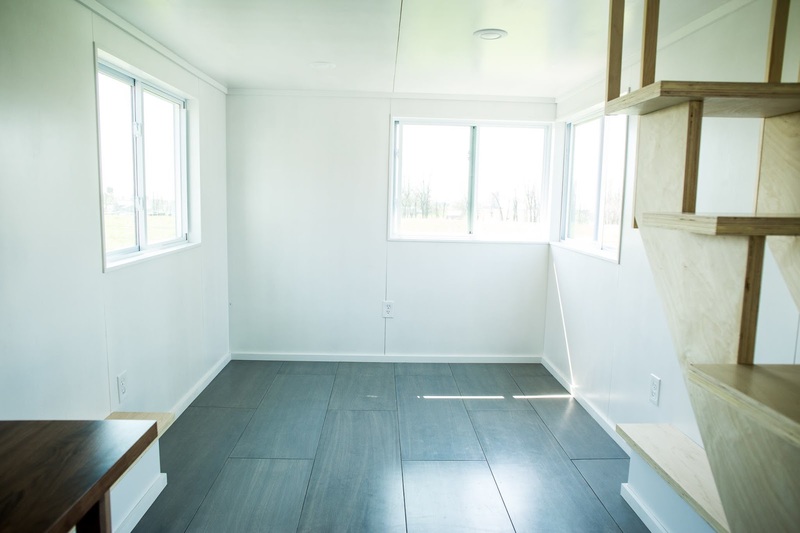 Contact Liberation Tiny Homes here for more info!